If you are searching for the perfect Fireplace for your porch, patio or three-season room, then look no further. The "Soma" Outdoor Fireplace Project by Leisure Select offers a rugged style that will look great in any Outdoor Room. This simple fireplace offers a raised hearth to help avoid back pain, a masonry fire box and a custom tile hearth and mantle that add a polished look to the custom stone. Choose amongst a variety of materials that come in a wide assortment of colors and shapes, from autumn and Shale colored stones to limestone and ledgestone rocks! So quit your search for the perfect custom fireplace! 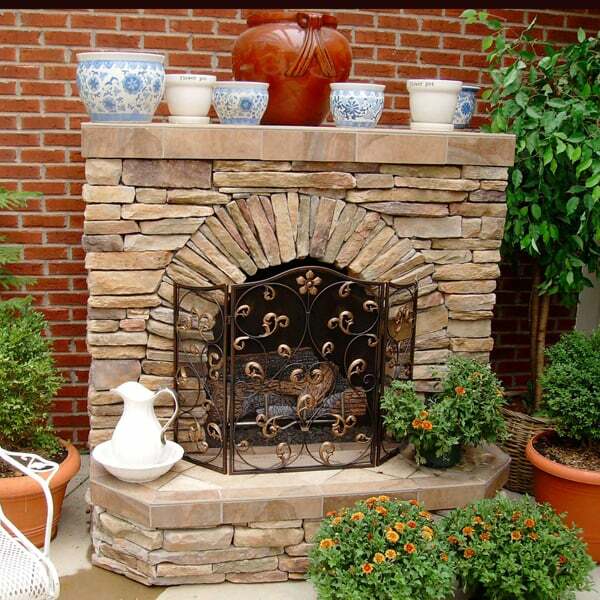 Contact Family Leisure today and ask about the "Soma" Outdoor Fireplace Project by Leisure Select! If you can dream it, we can build it. All outdoor wood burning fireplaces are custom built to your specifications and we can match to virtually decor. When it's time to add the perfect addition to your outdoor living area, bring us your ideas and let us help make it a reality.